The contents of Hassan Sharif’s studio—on show in a retrospective of the late Dubai-born polymath’s works at the Sharjah Art Foundation (I am the Single Work Artist, until 3 February 2018)—throw new light on the personal and professional aspects of the artist’s life. The materials used by the man dubbed the godfather of conceptual art in the Gulf, as well as documents and unfinished works, all come from the atelier in his house in Al Barsha, Dubai. The items were donated to Sharjah Art Foundation by the Sharif’s estate after he died in September last year. Sharif’s career began in the late 1970s as a satirical caricaturist, drawing cartoons for the Akhbar Dubai newspaper, but his vision and practice were transformed after studying at the Byam Shaw School of Art in London from 1979 to 1984. He returned to the United Arab Emirates (UAE) with the aim of building an audience for contemporary art in the Gulf. His bold, Fluxus-like performance pieces made waves, especially in the conservative UAE. “This recreation of Sharif’s last studio provides insight into the manifold influences that captured his attention. In the corner, lie a stack of books, magazines and journals on art, part of his personal collection. This includes My Name is Red by [Turkish novelist] Orhan Pamuk, the last book he read which lies on his table; alongside this title is an Arabic-English dictionary, a volume the artist habitually referenced throughout his career,” says a statement from Sharjah Art Foundation. 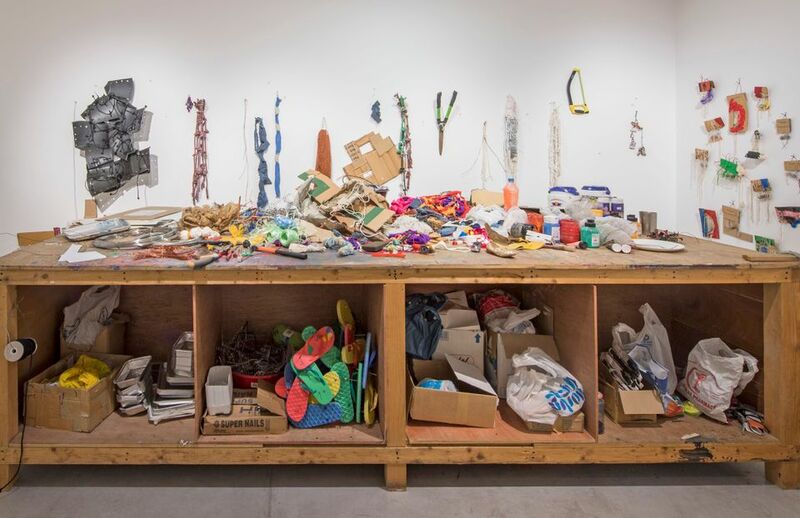 Materials that Sharif incorporated into his works—cement, cardboard boxes and copper wires—also fill the space. “Sharif’s personal life can inevitably be found in the space too, including notes from his brother’s grandchildren, phone numbers and other reminders,” the foundation adds. The exhibition is split into seven sections, the titles of which are based on Sharif’s own words. These include I’m an Object Maker which includes numerous sculptures made from found objects such as Spoons (2015). 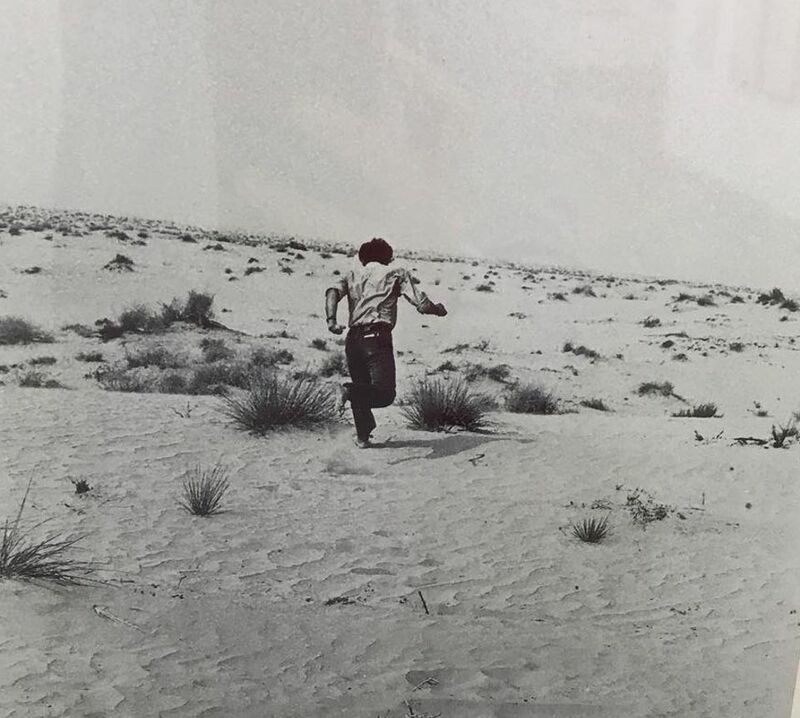 Photographs from the 1984 event known as the One Day Exhibition held in Sharjah’s central market—one of the first contemporary art shows in the UAE—are on display in the section Performance is Good. “Sharif was probably the greatest artist from the UAE and was active at a time when the fledgling [UAE] federation was seeking an identity. 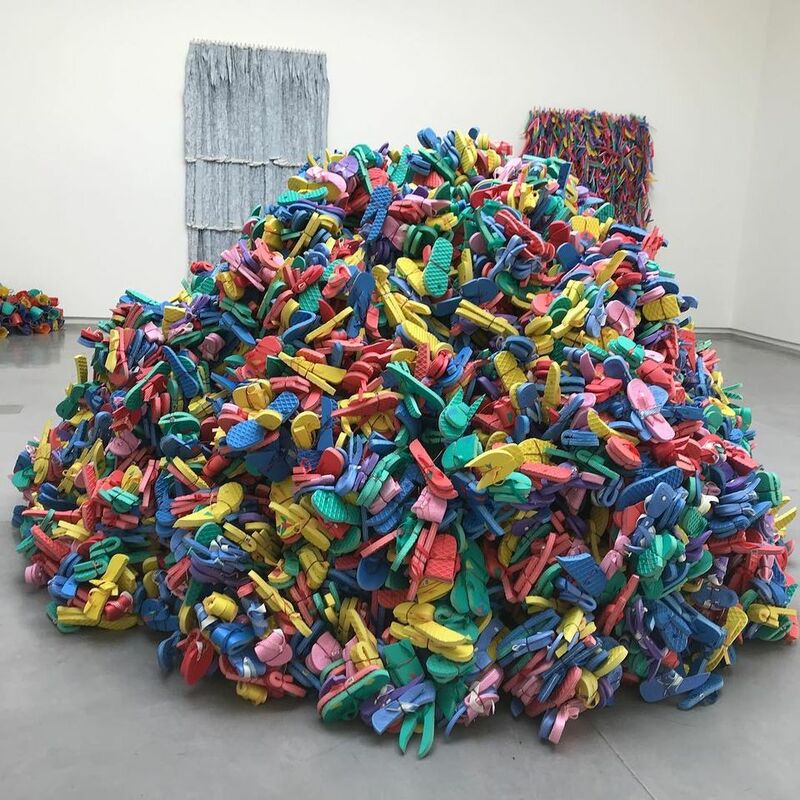 Sharif, to a large degree, helped define that identity,” Sultan Sooud Al-Qassemi, the founder of the Barjeel Art Foundation, told The Art Newspaper.